Best grown trained against a sunny, sheltered south or west facing wall, or under cover in cooler climates. 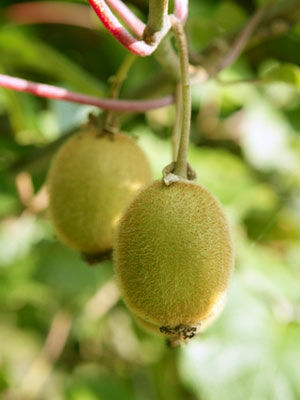 In warmer climates, kiwis thrive in full sun provided their roots receive midday shade. Mulch with well-rotted organic matter in late winter, and apply a balanced organic fertiliser in early spring, just as new growth emerges. Will only crop if they are planted in a warm enough position, and may suffer from dieback in cold winters.